Please note: if you did not participate in one of our two prior information sessions, you are not eligible to apply for this funding. Please subscribe to our newsletter for future opportunities. We are pleased to share that the Perrin Family Foundation is preparing to launch the Critically Conscious Youth Development (CCYD) grant program. PFF developed this multi-year grant making and capacity building opportunity with the intention of sharing a framework that introduces a new lens for youth development programs; focused on centering identity, lived experience and political education as a core competency. The framework of Critical Consciousness is the ability to recognize and analyze systems of inequality and develop a critical lens to navigate and challenge these systems. Critical Consciousness is composed of three components; critical reflection, political efficacy, and critical action. All three of these components are present in youth organizing efforts. 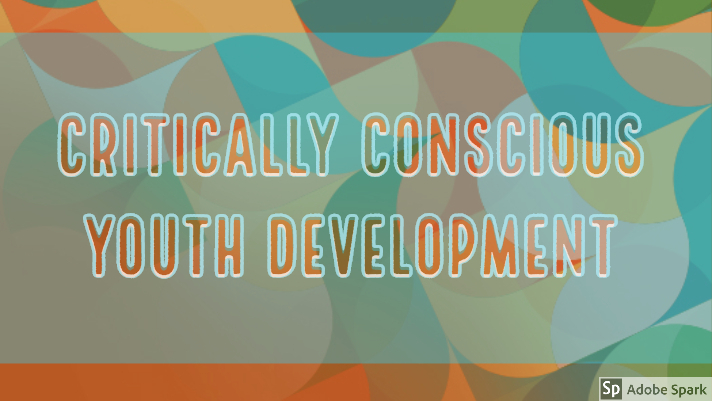 The Critical Reflection component is often left out of youth development practices and necessary to develop effective youth development programs for youth directly impacted by inequity and injustice. The Critically Conscious Youth Development RFP announcement (which is linked below) provides an overview of the grant program, the eligibility requirements, and the application process. Lastly, we are happy to embark on this new journey with our Connecticut community. Please share this RFP with colleagues or community members who may be interested and aligned with this funding opportunity. Organizations interested in applying must attend one information session either in-person on Wednesday, September 5th, or via video conference Monday, September 10th (see details below). Organizations looking to attend should RSVP to Program Associate, Mercedes MacAlpine by Friday, August 31st. At the information session, you will receive details on how to apply via our online portal. Applications are due via our online portal September 23rd by 11:59pm. Food will be provided at Wednesday’s information session. Click the highlighted link above to access the Request for Proposals and preview the application questions. We envision a Connecticut where young people are vital leaders in creating safe, healthy and just communities. Selection of fellows for our Philanthropy Forward initiative! Way to go @MaketheRoadCT youth on working to make sure your voices are heard in your city! Thank you @FundThePeople for a thought-provoking presentation on talent-investing and the importance of supporting the people doing the work in the nonprofit sector, and we look forward to your forthcoming research releases! Yesterday @FundThePeople @rustystahl @Perrinfamilyfdn presented the talent-investing framework @CTphilanthropy Program Officers Network. It was great to discuss how to boost investment in the nonprofit workforce in the nutmeg state! Congratulations to @Perrinfamilyfdn President Laura McCargar on being selected for the second @nfg_org Philanthropy Forward: Leadership for Change Fellowship cohort. Click below for more information about the cohort and to learn about the fantastic group! The Perrin Family Foundation is now located at 85 Willow Street, New Haven, CT 06511.